Arrow Factory is pleased to present The Outlier by Xyza Cruz Bacani in her first mainland China solo presentation. Consisting of a selection of 43 photographs taken during 2013-14 in Hong Kong, these heavily saturated black and white images depict the everyday scenes and occasions in Hong Kong, intimate yet distant, ranging from streetscapes to less public manifestations of labor in Hong Kong. The title, The Outlier, draws from Bacani’s personal position as a Filipina and her former profession as a domestic worker in Hong Kong where complex societal and political discrimination against this type of migrant labor has caused longstanding communities such as this to slip through the cracks of society, unrecognized and unappreciated. 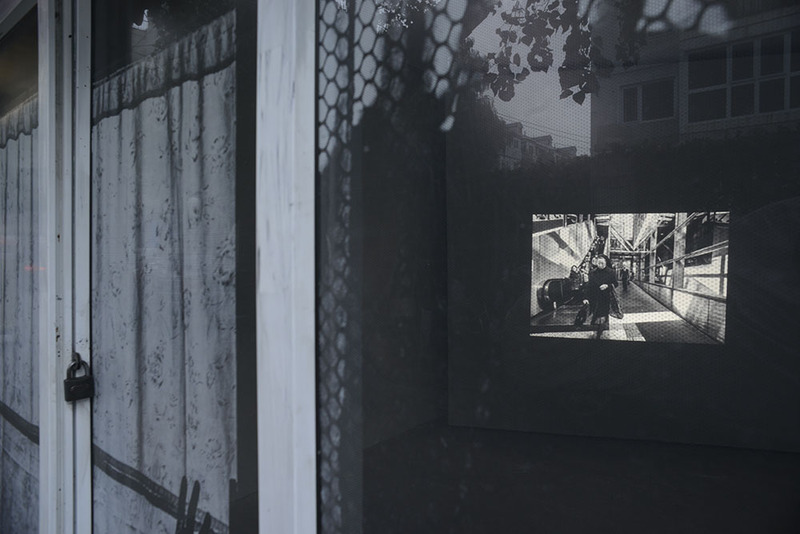 For the duration of this presentation, Arrow Factory has turned into a lightbox through the layering of Bacani’s photographs both as printed sticker across the doorframe and as an ongoing projection of the images. 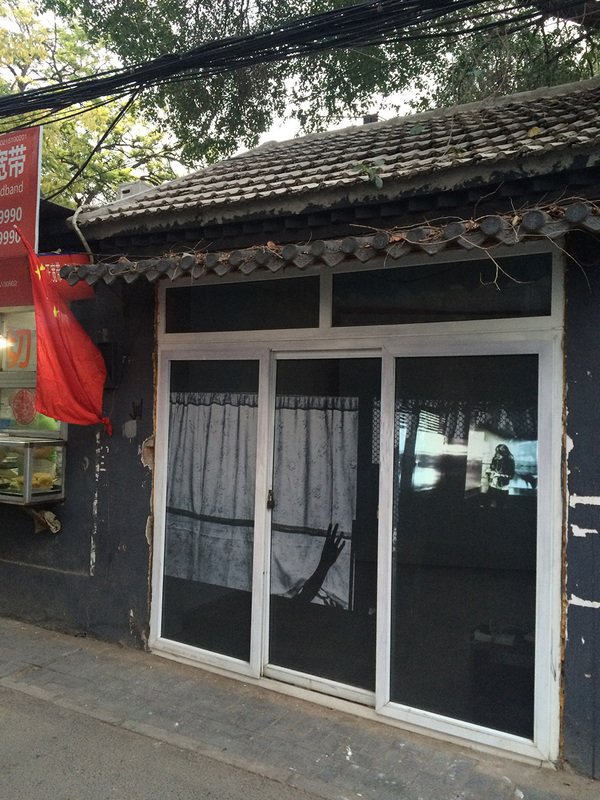 The Outlier creates a deliberate duality whether encountering the work during the day or night, and expands on the position of the outlier to include that of the general public in the hutong. Xyza Cruz Bacani is a documentary photographer who has been featured on the New York Times Lens Blog, CNN and various international media publications. Having spent almost a decade in Hong Kong as a domestic worker, her current research focuses on the migrants and human rights issues. Bacani was one of the 2015 Magnum Foundation Human Rights Fellows. Past exhibitions include Unpredictable, Unscripted (University of Philippines Vargas Museum, 2015 ), Shared Past (Foreign Correspondent Club, Hong Kong, 2015) and Afterwork (Para Site, Hong Kong, 2016). Guest Curator Qinyi Lim is an independent curator and writer based in Singapore. She previously held curatorial positions at Para Site, Hong Kong; National University of Singapore Museum and the Singapore Art Museum. 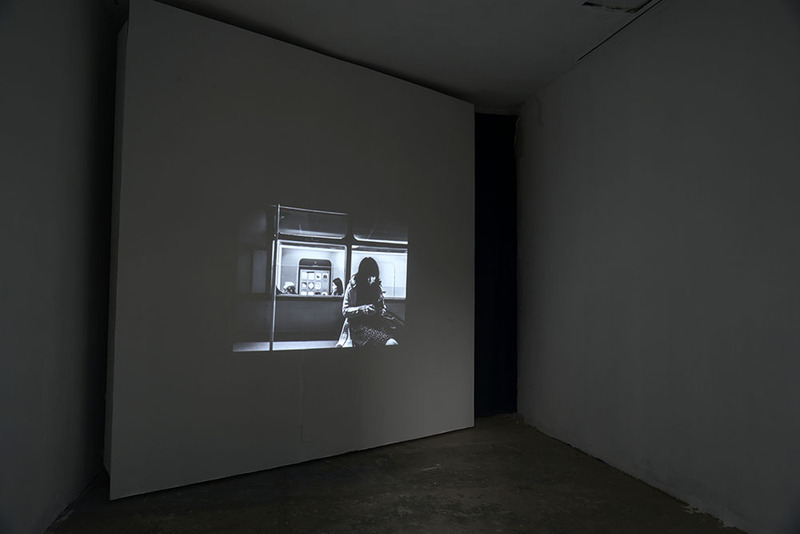 Lim completed the de Appel Curatorial Programme in 2012. Past projects include Orchestrations | Samson Young (Para Site, 2016); A Luxury We Cannot Afford (Para Site, 2015); Why Stay If You Can Go? (Stedelijk Museum, 2012), Three Artists Walk Into A Bar . . . (de Appel, 2012) and Telah Terbit: Out Now (Singapore Art Museum, 2006). Xyza Cruz Bacani | The Outlier is made possible in part through the support of New Century Art Foundation (NCAF).